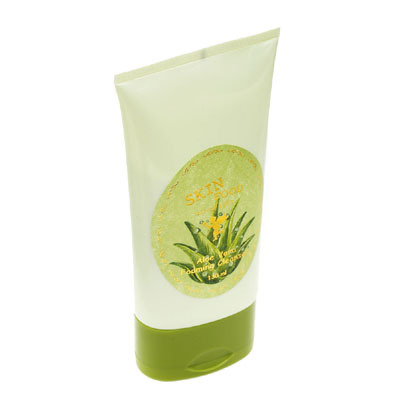 The Aloe Vera series is aimed for normal to oily skin. It contains aloe (helps soothe your skin), cucumber (provides hydration), Chlorophyll and Vitamin C.
As I squeezed it out, I noticed that it's already half foamed up, so just add a bit of water and it foams up easy. It feels gentle, mild, suitable for all skin types, including sensitive skin. The foam is fine and smell is fresh. The most important thing is it feels clean!